Ukraine is one of the most exotic country of Europe. So close, but feels so different. Due to the recent political situation, few tourists visit this undiscovered land. That's why it's perfect for those who love adventure, challenges and exploring something new and surprising. Contrary to what the media say about Ukraine, most of the country is perfectly safe; it's not grey, gloomy and hopeless, but full of amazing food, unique, colorful architecture and spectacular nature. And - it's unbelievably cheap. Kiev, in my opinion is the most underrated capital in Europe, which deserves way more recognition for its stunningly beautiful architecture, streets, monuments and colorful temples. 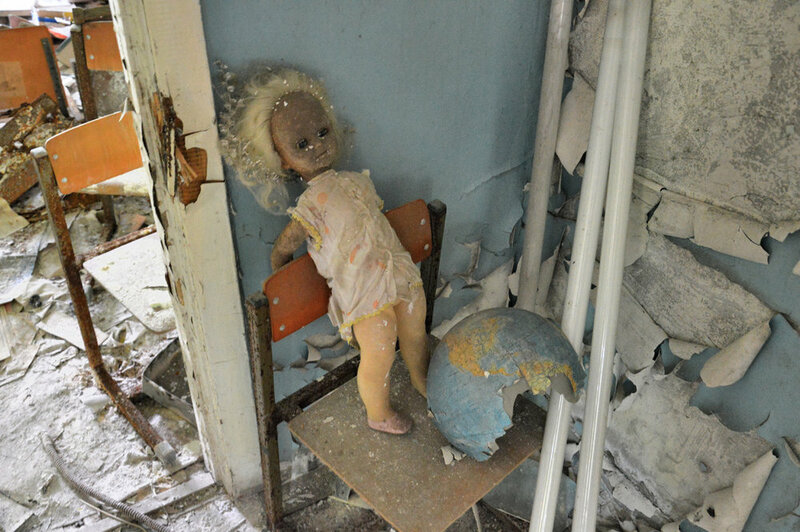 Don't miss the Chernobyl/Pripyat ghost town - it's a one of a kind experience! Another place worth visiting is the Crimean peninsula - which boasts beaches, vibrant resort sea towns and one unique, perched on a cliff Swallow's Nest castle that looks as if it was taken away from a Disney cartoon. To visit Crimea, you'll need some additional research as the territory is now claimed by Russia. Nevertheless, it's safe and not difficult to reach. I hope the posts about Ukraine below will make you see a bit different story from what you can encounter in the mass media. Chernobyl in Eastern Ukraine is one of the most infamous places on Earth. It used to be a normal, ordinary town, no different from thousands of others in the Soviet Union. It was quiet, peaceful, had its own theater, cinema and amusement park. People lived their life according to a daily routine until the 26th of April, 1986. In the middle of the night, a disastrous explosion shook Chernobyl. Reactor number 4 failed and ejected radioactive particles high up into the atmosphere. With the clouds and wind, the fallout was subsequently spread all over Europe, reaching as far as Scandinavia. Chernobyl and the surrounding area were evacuated virtually overnight. Only recently more and more people have started to return to their old homes. Three decades after the disaster, I visited Chernobyl and in this post I'll show you the way it is now. Crimea, together with Russia and Ukraine was completely absent from the attention of the media up until the recent conflict. Recently, it has appeared in western news but, unfortunately, only for the wrong reasons. It's always gloomy and grey with the post-communist, heavy architecture. However, the truth is that looking at the beautiful coast surrounded by golden cliffs and blue waters of the Black Sea, you might get the feeling that you're somewhere in the Mediterranean. For sure not how you would have imagined it! The beaches in Yalta are full of sun seekers, the town itself is so vibrant and colorful and the situation at the peninsula is stable and safe now. Not too mention its greatest attraction - the Swallow's Nest Castle. Torn between the Ukraine and Russia, the Crimean Peninsula has been a center of tragic political events recently. Let's hope the situation stabilizes soon and the area will still become available for an ordinary traveler. I would like to put politics aside and present the Crimea here like it probably has never been presented in Western Media. I want to show you the natural beauty of the region in contrast to the grey photos you can encounter in the news.